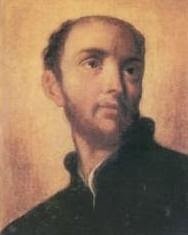 Saint Anthony Mary Zaccaria was a doctor who later became a priest in the year 1528, working mainly in hospitals and poor houses. He started a religious congregation called the Barnabites that was focused on teaching people about the Eucharist and about Jesus crucified for our sins. Saint Anthony got a lot of people to use a 40-hour prayer devotional before the Blessed Sacrament to help them grow in their faith in Jesus. He also revived an old tradition of ringing church bells at 3 p.m. on Fridays to remind people of the Crucifixion. Talk about why Jesus’ death on the Cross is a crucial part of our salvation. Then, ring bells at 3 p.m. and thank Jesus for dying for our sins. Saint Anthony Mary Zaccaria, pray for us!